Thomas Jonathan “Stonewall” Jackson, the legendary Confederate General died as a result of “friendly fire.” In May 1863 after executing a smashing flank attack at Chancellorsville, Virginia, some of Jackson’s own men mistook him and his reconnaissance party for the enemy. They opened fire and mortally wounded the great general who died days later. All parties agreed it was an accident—or was it? 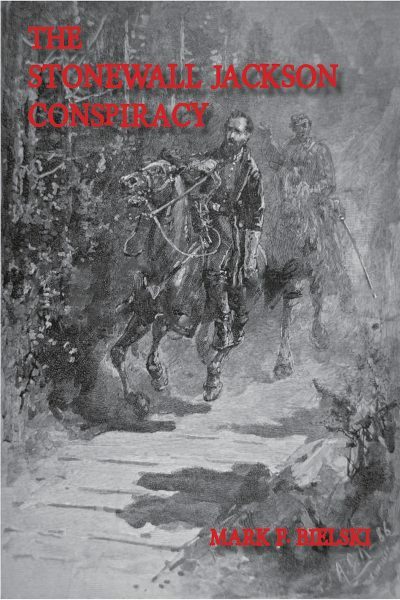 The Stonewall Jackson Conspiracy explores this intriguing question. An inquiry exonerated the troops and their commander. However, the reality was that it was the culmination of a plot hatched earlier in the war by a cabal of powerful, anti-Lincoln Radical Republicans in Washington. They kept their nucleus small, and carefully enlisted support from a few unwitting members of the Confederacy to help them achieve their aim: get rid of the South’s best general, win a major victory, then oust President Lincoln and take control of power. They did not expect any opposition, because their plan was secret. Nor did they expect to become the target of counter-intelligence. There were certain powerful figures in the Confederate hierarchy who suspected foul play and a conspiracy. On the recommendation of a respected general, they commissioned a young officer from New Orleans, Jan Mazur, to launch a secret, one-man investigation. It had to be this way because, with an official exoneration, President Jefferson Davis and his cabinet would have forbidden any further inquiry. Additionally, in 1864 the military situation for the Confederacy began to worsen and fighting Yankees took priority over learning what was behind their great general’s demise. The war came to a close in the spring of 1865, but the investigation continued. Several leads materialized that connected members of the assassinated President Lincoln’s cabinet to a conspiracy to murder certain Confederate leaders. The cabal that had plotted Jackson’s death continued to retain their undercover protection and employ the former Pinkerton agent to whom they gave a special assignment. He was to eliminate anyone who had been involved in the plot, whether knowingly or unknowingly. This puts him at odds with Mazur and the two become intertwined in a deadly game of intrigue, betrayal and murder.